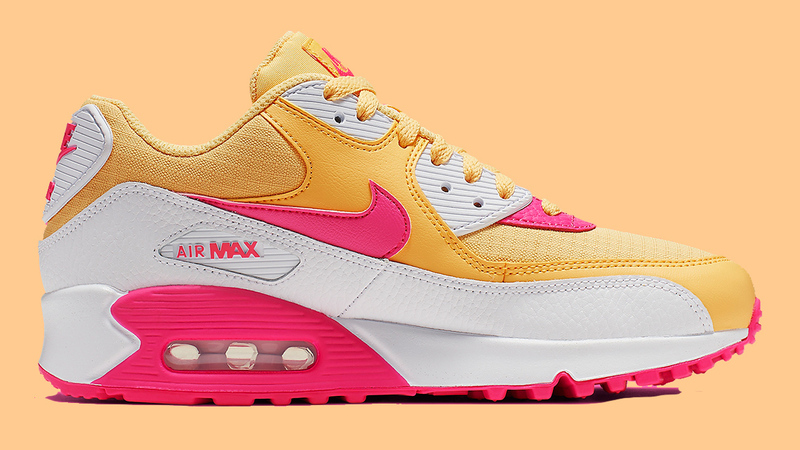 The sneaker that will be getting you in that Summer mood instantly. 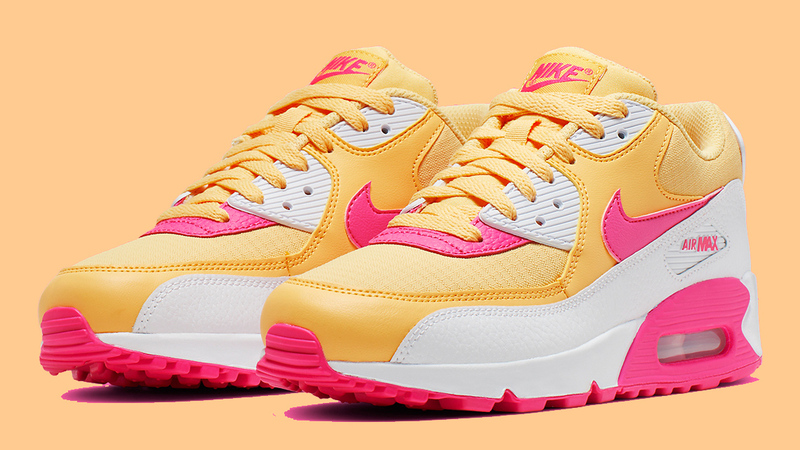 The Nike Air Max 90 is definitely an underdog in terms of the Swoosh’s silhouettes. At almost 30 years old, the AM90 is a classic and will be forever more. Recently unveiled has been a Topaz Gold/White/Laser Fuchsia colourway, with instant tropical vibes coming from it. Yellow mesh acts as the base of the sneaker, that comes in a clean cut 3 tone colourway. Layered on top of the mesh, comes a golden leather around the front of the sneaker and travelling up towards the lace unit. A textured white leather makes nearly a full circle around the shoe, matching with the lace unit detailing, as well as the heel and the cushioned midsole below foot. 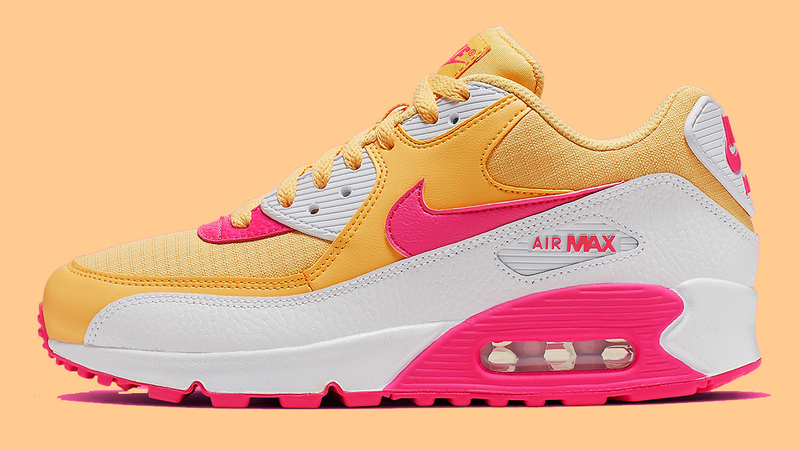 Laser Fuchsia pink comes in on the side Swoosh of the sneaker, as well as on the Air Max branding to the heel and sidewall of the shoe. Finished off with a pink outsole that will be giving you grip and traction whatever the weather. The visible Air unit will be giving you that age old comfort, something that has been loved for years in pretty much all of Nike’s silhouettes. 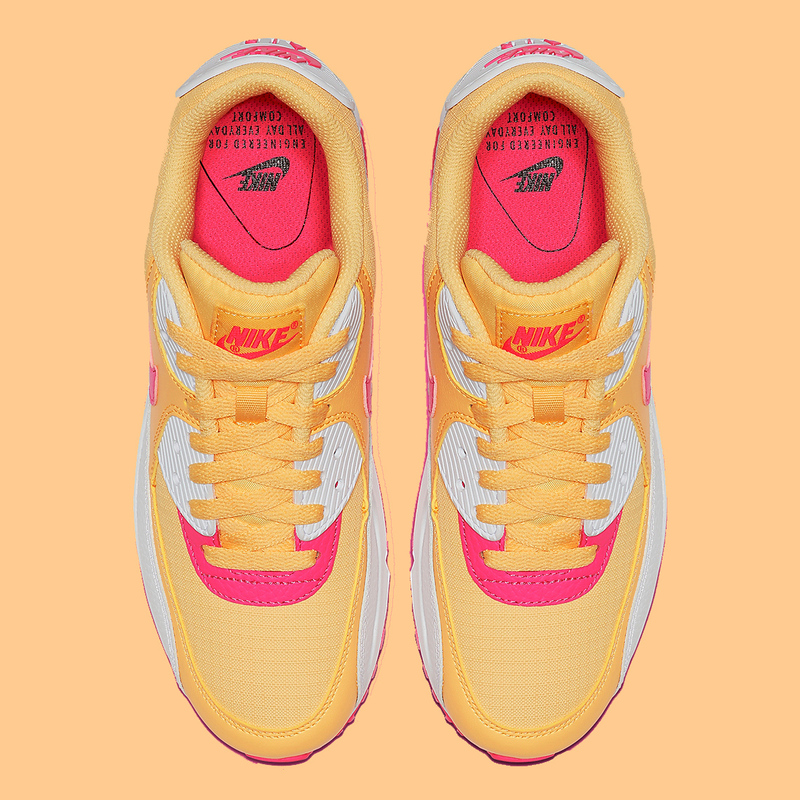 For more information on the release of the Nike Air Max 90 Topaz Gold/White/Laser Fuchsia, stay tuned to The Sole Womens where you’ll find all your daily releases, news and style guides! While you’re here, be sure to check out the restock on the Have A Nike Day Air Force 1.